Hard hit by hyperinflation, an increasing number of Venezuelan citizens are now turning to Bitcoin to preserve the value of their money. It’s a desperate measure triggered by a desperate situation as the downward spiraling domestic economy renders the country’s sovereign fiat Bolivar practically worthless. Peer-to-peer Bitcoin trading in the South American nation has witnessed a major surge of late with crypto data tracker CoinDance reporting a 30% spike in trading volume in the last week alone. That’s 2,454 Bitcoin, or approximately $8.95 million, changing hands per week through the informal crypto economy that the government has no direct control over. This new development fits well within the general consensus that countries with relatively weaker economies are currently spearheading crypto adoption. The trend is visible across the world and more prominently so in Latin America as the region continues to struggle against an economic slowdown with no immediate sign of reprisal. As for Venezuela, a country infested with massive political unrest on top of the lingering economic crisis, its homegrown P2P Bitcoin market is currently 157-times bigger than the trading volume of its largest stock exchange. 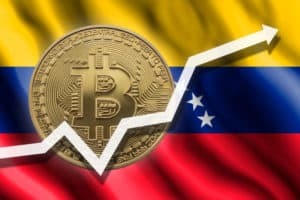 According to Kevin Rooke, a prominent YouTube vlogger, and cryptocurrency commentator, the trading volume in Venezuela’s top stock exchange stood at just about $8,117 on Feb 8, which is practically peanuts compared to the average daily transaction of $1.28 million in the country’s P2P Bitcoin market. President Maduro is often criticized as the leader whose corrupt and faulty economic policies pushed Venezuela into a seemingly bottomless pit of economic distress. While that may very well be the case according to most renowned global economists, Maduro’s supporters hailed his move to launch a national cryptocurrency backed by the country’s oil reserves as groundbreaking. They thought Petro could finally be the answer that brings some relief to the stressed-out domestic economy. Despite high hopes in some quarters, a global backlash led by the United States (and backed by Venezuela’s opposition parties) ensured Petro’s inevitable doom. And to add more to its woes, it turns out Maduro himself is doing no favor to the national cryptocurrency by raising taxes on all Petro transactions. According to a recent announcement published in the government mouthpiece Gazette (issue 41581), all transactions involving Petro and other cryptocurrencies will incur a 15% tax. In all likelihood, Maduro’s new move could push more Venezuelans to turn to P2P Bitcoin trading if it helps them avoid this newly enforced absurd regulatory framework involving digital assets. 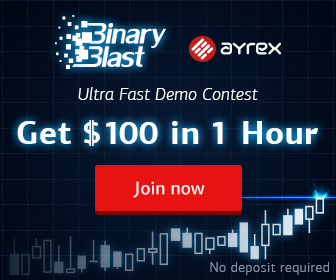 P2P Bitcoin Trading Undergoes Sharp Rise in Venezuela, Outvalues Stock Exchange Trading by 157X was originally found on copy trading cryptocurrency | Blockchain News | Bitcoin News | blokt.com.